The darker material toward the bottom is vegetation creeping up the cliff; the sediment is pretty uniform all the way down. 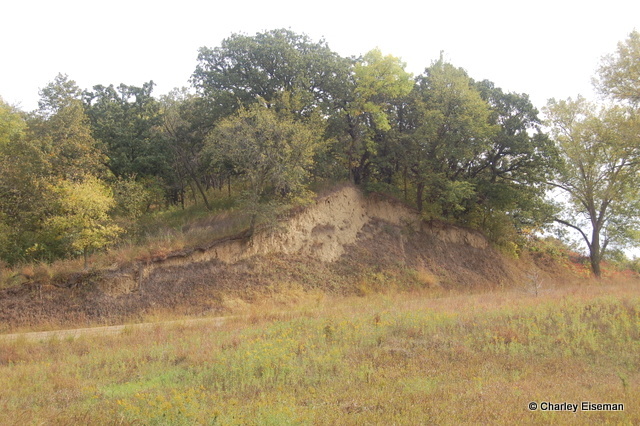 There was an interesting mix of plant species in the Loess Hills, including some that I normally associate with floodplains growing alongside others that are typical of dry, rocky uplands. When investigating a patch of roughleaf dogwood (Cornus drummondii), I encountered some blotch type leaf mines that puzzled me at first. Holding a leaf up so that it was backlit, I could see a moth larva chewing away inside–but the discrete, elongate pellets of excrement ruled out most things I could think of. After a little more investigation, I realized what I was looking at. 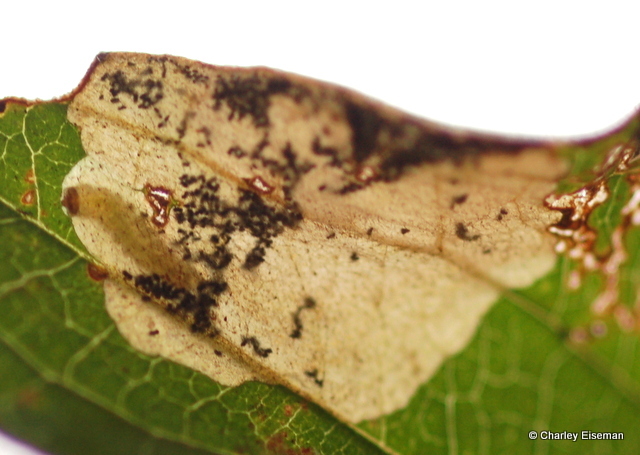 In the completed mines, the larva had cut out an oval leaf piece and wandered off to pupate. 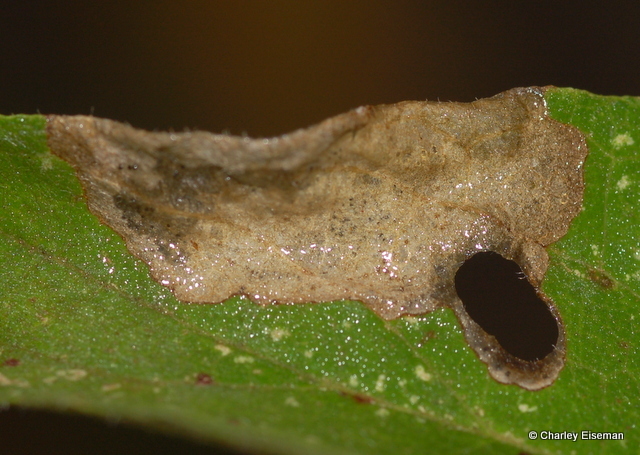 This identified the miner as a member of the family Heliozelidae, known as the “shield bearers” because the larva wears the leaf piece like a shield, ultimately attaching it to a twig or some other surface and pupating within it. I had tried several times but had never succeeded in raising a heliozelid to adulthood, so before running to the nearest clump of trees to shelter from a sudden thunderstorm, Julia and I stuffed a vial with leaves that still contained larvae. When I took all my rearing vials out of the fridge last month, I didn’t have much hope for these since the leaf material had more or less turned to mush and was growing mold, but lo and behold, a few days ago this beautiful 3.4-mm moth emerged. 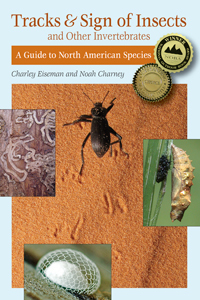 There are three described dogwood-mining Antispila species in North America. 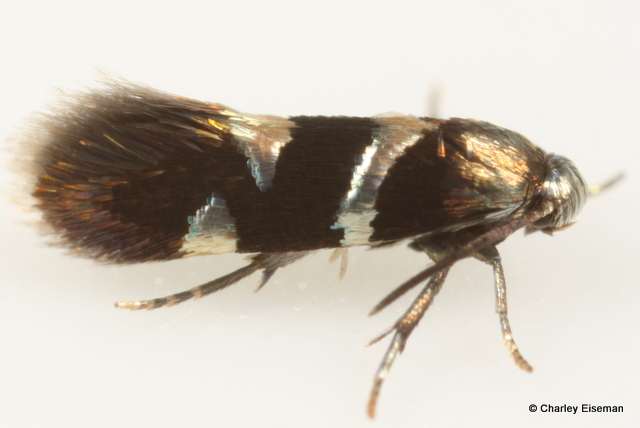 One is only found west of the Rockies; one feeds on bunchberry (Cornus canadensis) and other northern dogwoods of damp habitats; I presume this is the third, which is found from Ontario to the Gulf Coast and feeds on southern, upland dogwoods: Antispila cornifoliella. 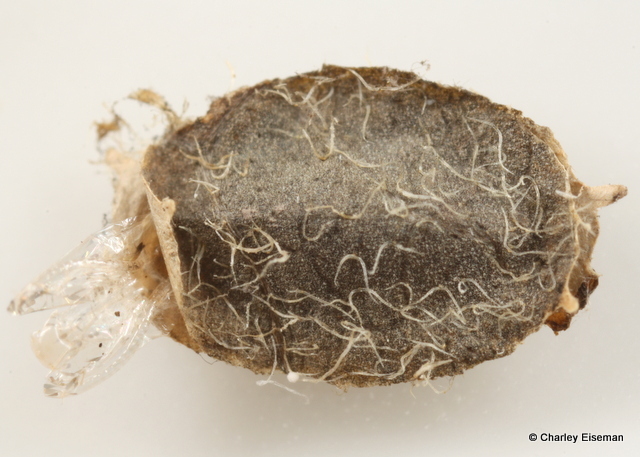 Here is this moth’s leaf “shield,” with the empty pupal skin protruding from the left side. John Pearson was kind enough to look through my photos of unidentified Iowa plants and tell me what everything was (including the roughleaf dogwood). I’ve now gotten as far as uploading all of my Idaho plant photos, and if anyone out there knows their South Dakota / Wyoming / Idaho plants well, I’d be grateful if you would check out my flickr page and leave some comments with suggested identifications. All of these plants have leaf mines associated with them, many of which are likely new to science. 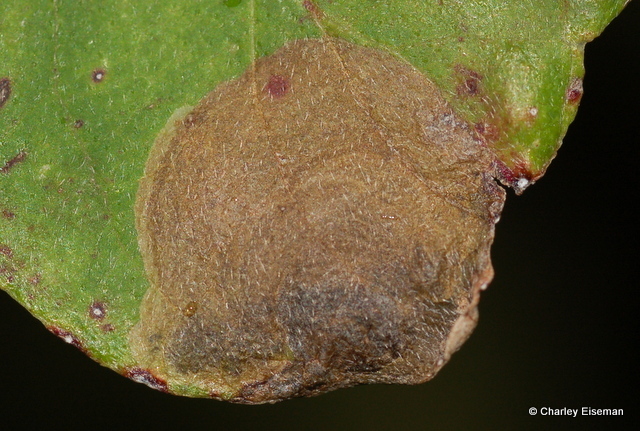 Added 4/17/2015: Based on my findings discussed here, I now think this is Antispila freemani rather than A. cornifoliella, if it is in fact a described species. Antispila freemani has apparently not been documented from south of Canada and New England, so this would represent the southwesternmost observation of the species. Sooner or later I will get an expert opinion based on examination of the specimens. 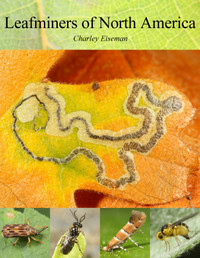 This entry was posted in Uncategorized and tagged Antispila, Antispila cornifoliella, Cornaceae, Cornus, Cornus drummondii, dogwood, Heliozelidae, Iowa, leaf mine, Loess Hills, moth, roughleaf dogwood, shield bearer. Bookmark the permalink.